Did you know that you can help feed other families while feeding your own? Making a difference is as easy as 1-2-3. Every time you shop at your neighborhood Kroger or Tom Thumb, a percentage of your purchases will be donated to Frisco Family Services. Read the information below to link your Kroger and Tom Thumb cards to giving back to FFS. This is a great way to give back and help us prevent homelessness and hunger in our community! Thank you for your support! 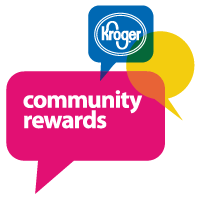 Click this link, register your Kroger account and add Frisco Family Services as your benefactor by providing the number 84501. Kroger requires a yearly renewal so if you have previously linked your card, you will need to do so again. Download this form and take to your neighborhood Tom Thumb store. You will be asked to provide the organization number, 10731. If you have previously registered your card, you do not need to do so again.